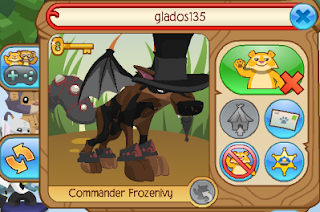 ✮✭XxFreeSpiritxX's Animal Jam Freedom✭✮: An Interview with Glados135! Her: Heyo! How are you? Me: Very good, and yourself? Me: That's wonderful! So, First of all, why is your name glados? Her: Well, I like it because it's off the game Portal and the Characters name is Glados. Me: And what about the 135 part? Me: Glados, how long have you been on AJ? Her: I have been on Since September 30th, 2011. Her: I have to thank sobek2014 He gave me the rare item that led me here, A glove. Me: Cool! Have you ever scammed? Her: Oh NO WAY! I would never scam! Me: Have you ever been scammed? 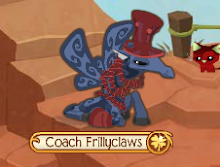 Her: Yes, by Darkscar01 for my blue fox hat and a locket and a mohawk. Me: Oh my that's awful! What do you think of the new Tierneys' Aquarium? Her: I think it's pretty cool, it's full of new execptations. Me: Very Fun, I agree! Any last words? Her: JAM DON'T SCAM and REMEMBER THAT, NO MATTER WHAT, You will always be epic!